As I began to read this, my concern quickly grew that I was reading another far-fetched identification of the young man who complements the “Dark Lady” of William Shakespeare’s sonnets. My reservations were not assuaged when Elaine Scarry, an English professor and social theorist at Harvard, asked for the reader’s “willing suspension of disbelief.” She notes, “This book is written in the belief that what it describes is true. But its author only believes it to be true; she does not know it to be true.” (Italics hers) More proof is needed, she says. That line from A. E. Housman came immediately to mind: “Terence, this is stupid stuff.” That seemed to sum up where she was going, especially when she names the young man on the second page and then parses various lines from the sonnets to reveal, by unscrambling the letters in the words, the name of Henry Constable, deemed “England’s sweet nightingale” by one anonymous poet of the period. It is difficult to get the full name of William Shakespeare into a line so Constable most often has just the surname or spreads it over two lines. She continues with examples that seem to indicate the two were writing comparable poetry about the same time. 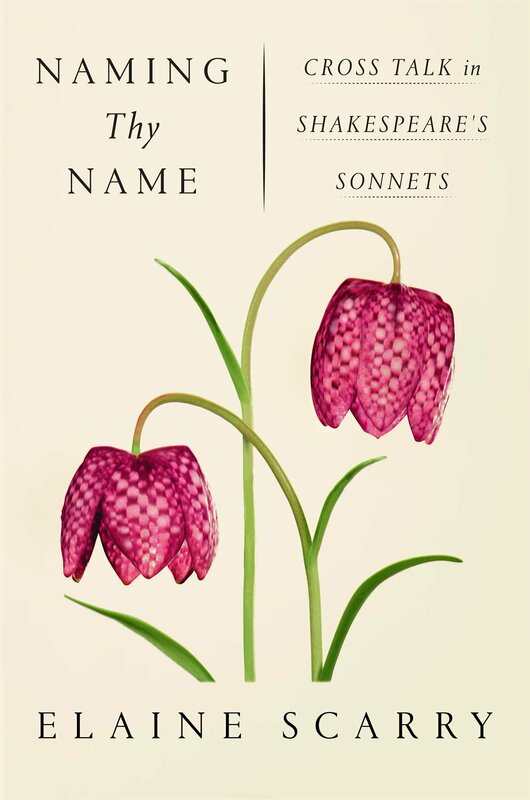 A certain familiarity resides in so many of their lines that Scarry believes Constable is “The Birthplace of Shakespeare’s Sonnets,” as one chapter argues. Her textual analysis of their writing appears to support this theory, although there is not and probably never will be solid proof. Constable was a contemporary of Shakespeare: they were about the same age and both were highly respected poets. Both were unaccounted for during the same period of time, the lost years of the 1580s. Both wrote poetry that seemed to mirror the other with Shakespeare obviously the more accomplished one. Her “proof” relies on literary analysis which is subject to personal bias. There is no concrete proof, no love letters between Shakespeare and Constable or anyone else. Until such solid, irrefutable documentation emerges, we must be contented or discontented with assumptions. Her presentation of information compels the reader forward, however. This is well-documented through an impressive variety of unimpeachable sources. The Notes at the end are a delight to read, often going beyond a mere citation of source. Having a copy of the Sonnets close by is recommended in order to see the whole sonnet being discussed rather than a quatrain or couplet. Is all this just a flight of fancy? Entering college decades ago, I was told there were fewer than 10 provable “facts” about Shakespeare and his life. Unending scholarship has expanded those facts exponentially and created new lines of inquiry. 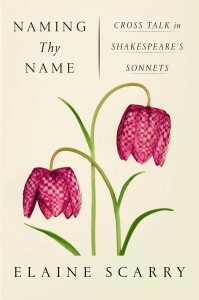 Interest in Shakespeare’s subjects in the sonnets has engendered its share of thought. Scarry has blazed a new trail that may lead to a cliff’s edge — or it may lead to a broad avenue for additional research. As conjecture is steeped in supposition and layered in speculation, a certain level of plausibility emerges to suggest that Scarry’s theory cannot be dismissed “time out of mind” to the degree that my reservations are somewhat assuaged.